Many learners of the English language have told me that English doesn’t make any sense. It seems to lack the consistent internal logic inherent in other languages. Many of my students over the years have asked me the question, why? Well, the simple answer to that is that English is actually a conglomeration of multiple languages with influences from yet many others. This has led to the formation of a seemingly haphazard syntactic, grammatical and phonetic medley of a language. 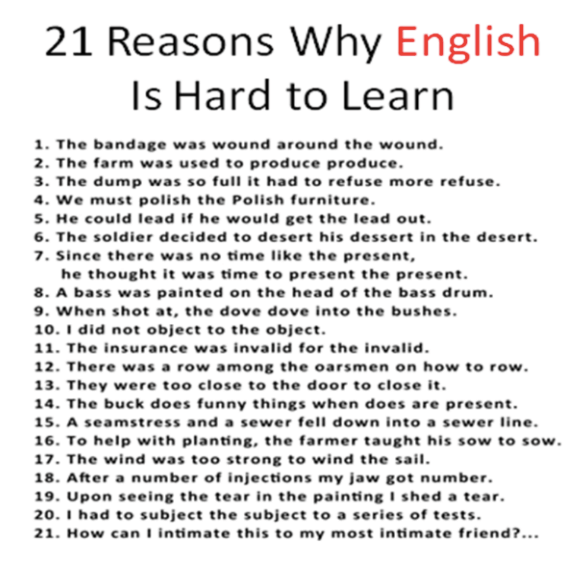 So why is English so hard to learn? Well, to answer that question, we need to go back in time and take a tour through history. Although languages don’t have a definable birthdate, linguists agree that English began its formation around the time that Germanic tribes known as the Angles and the Saxons invaded in Britain in the early 5th century. Prior to that time, a variety of Celtic languages were spoken in Britain. However, these languages were overtaken by the Western Germanic language of the Anglo-Saxon settlers. The next stage of history we’ll visit is the 9th century when the Norsemen (medieval Norwegians) and their Northern Germanic language arrived in Britain. Hundreds of Norse words entered the Anglo-Saxon language including words like anger, birth, cake, dirt, gift, knife, leather, mistake, rotten, same, steak, take, though, they, until, want, wing, you and they (to name a few). Interestingly, English words that begin with ‘sk’ are of Norse origin. These words include words such as skate, skid, skill, skin, skip, skirt, skull and sky. The French, then known as Normans, conquered Britain in 1066 and remained the ruling class there until the 15th century. Four centuries of Norman rule in Britain led to the formation what is referred to as Middle English. About 10,000 Norman French words entered the Anglo-Saxon vocabulary. These words are related to government, law, diplomacy, art, architecture, politics and literature. Around a third of the current English vocabulary derives from French. Linguists estimate that by the end of the Norse and Norman invasions of Britain, over 80% of the Anglo-Saxon words that had overtaken Celtic as the language of Britain, had been replaced. So, by this time, English had become a conglomerate of Anglo-Saxon West Germanic, Scandinavian Norse and Norman French. Then, with the influence of the Renaissance in 14th–17th century Europe, many Latin and Greek words entered the English language. Following Norman rule over Britain came the Middle English period, (15th to 17th century) when many changes occurred in the English language which began to form it as the English we know today. The endings of Old English words were replaced by Middle English endings, such as the ‘s’ at the end of nouns to indicate plurality. Some of the changes were sound changes which influenced pronunciation. The pronunciation of long vowels changed as well as some consonants, which became silent, such as the “k” in “knife”. This is one reason why the spelling of many words doesn’t match how they sound. 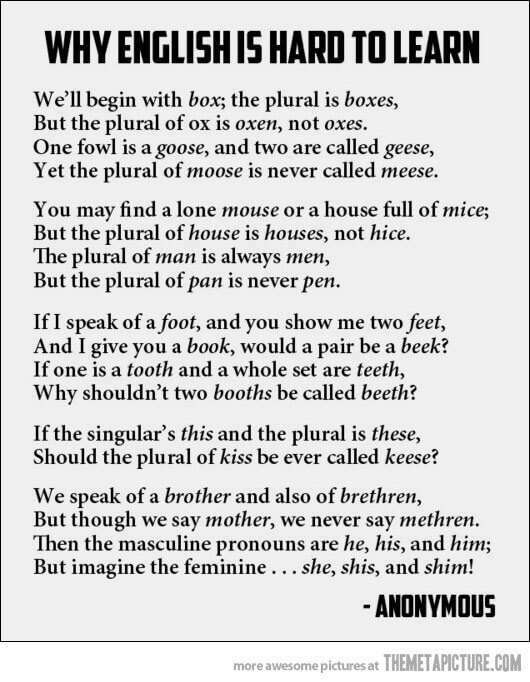 English spelling once reflected the way words were pronounced! It just hasn’t caught up with the changes that have occurred in the spoken language. Throughout the Middle English period, English was a spoken dialect without a standard written code. Prior to this time, literature in Britain was written in Latin or French. However, in the 13th century, English literature was born. Geoffrey Chaucer wrote the most famous publication of the time, which became the foundation of written Middle English – The Canterbury Tales. 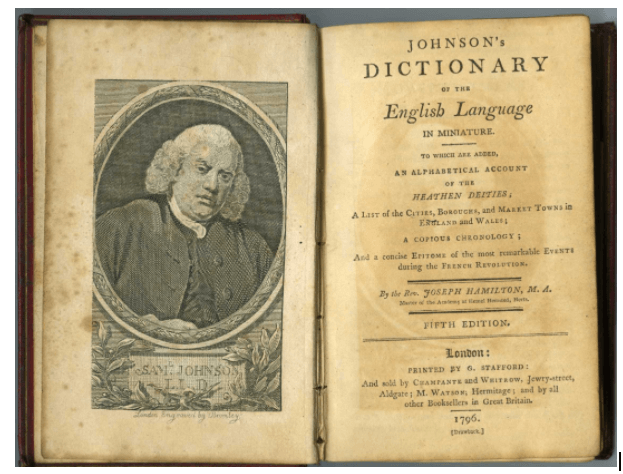 In it, he included words from Old English which had fallen out of use at the time (such as ‘loving’ and ‘friendly’) and he also introduced around 2,000 new words (such as outrageous, horizon and superstitious) which became part of the English language and are still used today. However, up until The Canterbury Tales, English did not yet have a codified written form. Therefore, there was no connection between spelling and pronunciation. 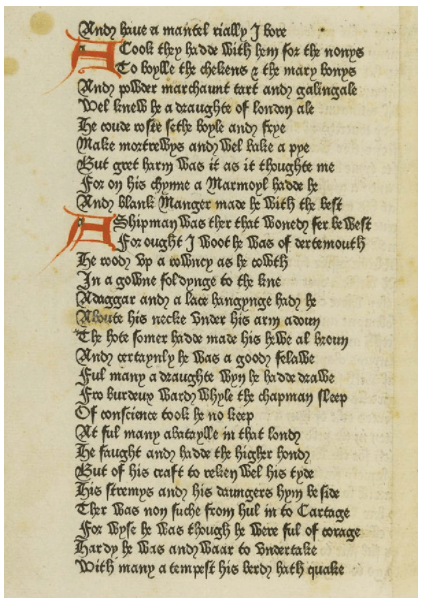 The is literature from this era shows the random spelling of the same words used by different writers, and Chaucer himself spelled the same words differently in the same piece of work. For example, “year” can be found spelled as “yere” and “yeer”. Any modern reader of English attempting to read Chaucer would find it almost impossible to understand. However, with the introduction of the printing press to Britain in 1467, the London dialect, which had displaced Norman French as the language of government, began to be codified in written form through literature. Therefore, a commonly agreed upon standardized system of writing English became necessary. However, it was not until the first dictionaries were published in the 18th century that spelling and grammar became set into what is called Early Modern English, the language of William Shakespeare. From the 16th century, English began its expansion throughout the wider world as the British empire began to establish colonies, bringing its language with it. 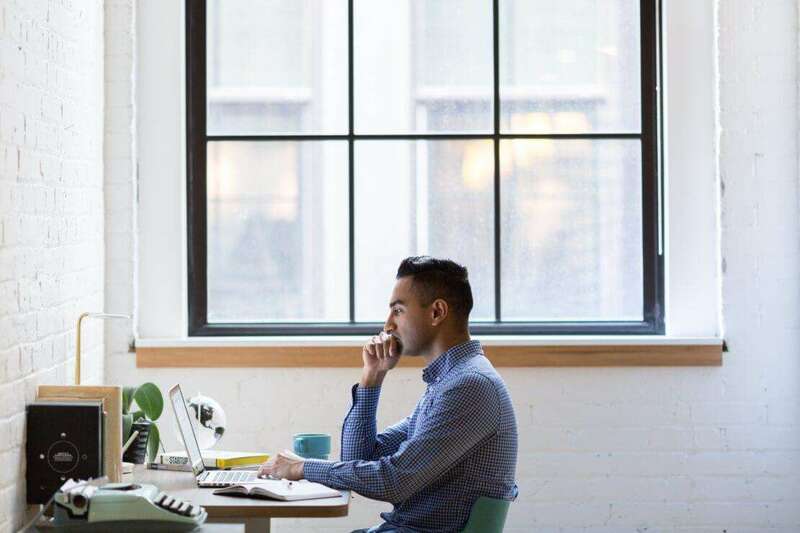 Though English has become a world language, there are many different forms, such as American English, Australian English, as well as the Englishes spoken in South Asia, the West Indies and Africa which have their distinct varieties. English has well and truly gone through many stages of history to get to its present form as the language we know today. Over its 1,500-year development, it is clear that it has been fluid and ever-changing, and still is! At some stage in the future, the English we write and speak now will be an unrecognizable relic from the past. Posted in General English Learning | Tagged english language, English learning, history of english language, origin of english language, why is English difficult?